You are here: Home > Blog > Community use > Forestry Commission disposals – more surprises! The government don’t really trust the Forestry Commission, DEFRA or even politicians any longer as owners of the forests. There have been some kind words said publicly about current management but it is clear from what’s being proposed that the government want to get this land out of FC hands just as soon as possible. If you doubt that, consider that there are about 620,000 acres at stake - 18% of English Woodland - and the proposals leave the FC managing almost nothing (perhaps a small “legacy estate”). This will seem harsh to many people as Tim Rollinson and his team have in recent years very much focused the FC on agreed objectives such as biodiversity, public recreation, and climate change issues. Perhaps some of those in government felt that the organisation should be punished for past wrongs, such as the large scale conifer planting on ancient woodlands in the 1950s, 1960s and 1970s. Or perhaps they simply saw the FC culture as too fixated on timber production, however hard the people at the top tried to adjust to new objectives. There is another tension which government ministers spelt out – that there is a conflict in being owner-manager and regulator of large areas of forestry. But there is also a geographical element: whilst Welsh FC woodland decisions are made in Cardiff and Scottish ones in Scotland, it seems odd that English ones are also made in Edinburgh, Scotland. In DEFRA's proposals the Heritage, Community and Multi Purpose woodlands would all be owned and managed much more locally, by charities and local groups. The consultation document has considerable reference to local management and in the final section of the document they make clear that in future policy decisions should be made by DEFRA (in London) rather than the FC (in Edinburgh). The public reaction has revealed very widespread and deep interest in English woodlands, but also many misunderstandings. Perhaps this means the public haven’t been much engaged over recent years. For example it comes as a surprise to most people to be told that the majority of the estate was acquired since the war – many bloggers seem to believe that it has “belonged to the people” since time immemorial - even since the Magna Carta of 1215. 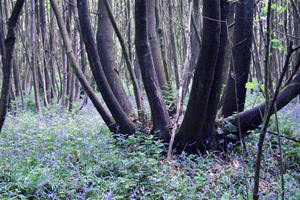 The consultation makes clear that well over half the FC estate is coniferous but this has not been publicised – much of it is can be seen as, in effect, long-term farming with even-aged monocultures managed as industrially as possible, but the impression the public naturally have is that it is all like the bluebell woodlands where the visitor centres tend to be located. One senses that for DEFRA the simplification into four main types of woodland is uncomfortably over-simplistic, but it still appears not to have been simple enough for much of the media. The combination of heightened public interest and computer technology could make a difference in how public woodlands are used. Sites like openwoodlands.co.uk and visitwoods.org.uk are already telling people how to find and get to public woodlands and iphone applications are likely to do so even more. These developments literally put maps, guides and directions to public woodlands into people’s pockets. Trust our M.P.s with the sale, no thanks. There is always a hidden agenda behind these proposals. Maybe they have a few overseas buyers lined up, we have already sold off our industries to other countries:- car, coal, ship, utililities etc. Lets carve up the country even further. Wake up people, enough is enough. 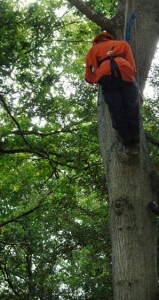 The forests are managed on the ground locally already and unless England differs from Scotland local volunteers are used. Shifting management from Edinburgh to London will make no difference, the forests in the north east of England are actually closer to Edinburgh than London. I think the FC do a great job and we need all types of trees and forests for pleasure/survival and contribution to our renewable energy sector. For the UK government to sell of the forests in this way I believe it could possibly devalue forests and if not done correctly then further down the line we will be wondering what was such a problem in the first place that led to the big sell off. Author and documentary film maker David Malone wrote about it ..
Gillian – Yes, I take those points, escpecially about job losses. 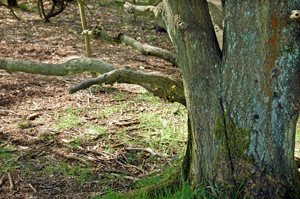 Don’t you think local management of woodlands is better in principle – if it can be arranged? Personally, I’m still very unsure about the idea that local communities will buy “their” woodlands. The argument that they already belong to the people seems powerful and they surely shouldn’t be buying them again. If they were to gather resources to manage them – volunteers certainly and money (maybe) that would be one thing, but I’m not sure about local communities buying what the larger community (ie DEFRA) already owns. It will/would be a hard sell to raise sizeable donations on this idea, I think. I fail to see what is “odd” about the location of decisions being made. You make no issue of wrong decisions. Decisions on Welsh & Scottish affairs have been made in London for years, which are often the wrong choice. England will not loose her forests, it’s sounds like a change of management, but Scotland will now loose more jobs because of it, along with RAF closures, tax offices closures, passport office closures, air & sea rescue closures the list is vast. Forest sales aka fire sales, bought by bankers & politicans who set themselves up as charities! This is the Big society shift for middle England, I doubt we’ll ever hear Cameron talk of middle Wales or middle Scotland? All in it together though?? I’m not sure it’s a lack of ‘trust’ in the Forestry Commission or a desire to ‘punish’ it for past wrongs. The driving force behind the governments actions – and not just the dismantling of this state asset – is ideological. It simply wants to get transfer as much as it can to private ownership as quickly as possible, whilst the smokescreen of national debt is still effective. The sale/lease of the forests can certainly not be justified on the basis it will raise funds for the government. It’s small change. No, there is an agenda and the conservative government has found itself with a golden opportunity to pursue it. Talk of ‘big society’, ‘devolving power to the people’ and such guff is quite plainly a cynical effort to appease those of us who oppose the wholesale disposal of ‘public’ assets and institutions. What do you think of the forestry commission sell-off?